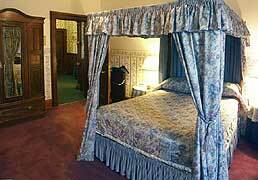 Mansfield Castle Hotel has been sumptuously refurbished to exceptionally high standards. Each the castle's 19 spacious rooms has its own distinctive character and most offer stunning views over the castle grounds, the Moray Firth to the south east and the Dornoch Firth to the north east. 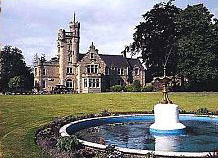 "This Victorian castellated mansion in the Royal Burgh of Tain is now a family-run hotel, in a great location for easy access to Inverness and the far north of Scotland. The most popular room is The Tower Suite, perfect for a family. I love the village of Tain and this part of the East Coast of Scotland...great if you are on motor-cycle or doing a car trip. John will look after you when you stay here." Roger Masterson, The Castle Man. Tain has something for everyone. It is steeped in history with stunning scenery, magnificent architecture, abundant wildlife and plenty of sporting and leisure activities. Mansfield Castle is the perfect venue for an event, a short break or a complete get-away to indulge in a few rounds of golf, sea and loch fishing, walking, stalking, dolphin and seal watching, whisky tasting and clan associations. 19 individual bedrooms with stunning views over the castle grounds, the Moray Firth to the south east and the Dornoch Firth to the north east. At Mansfield Castle you will be made to feel as welcome as the Laird himself, to sample the splendid hospitality, comfortable surroundings and first rate food. Dining at Mansfield Castle is a memorable experience. The elegant dining room boasts wonderful picture windows overlooking the castle grounds, which are floodlit at night.